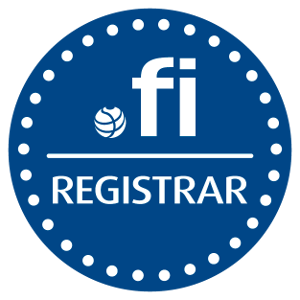 Until now, .FI domains have been supplied directly by FICORA, the registry for .fi. This will change as of September 2016, when FICORA switches to the more generally used registrar model. This means, that you have to transfer your .fi domains from FICORA to a registrar of your choice – like webhotelli.com/Pionnet Oy. EUR 14.90 per year containing domain expences and domain name services.